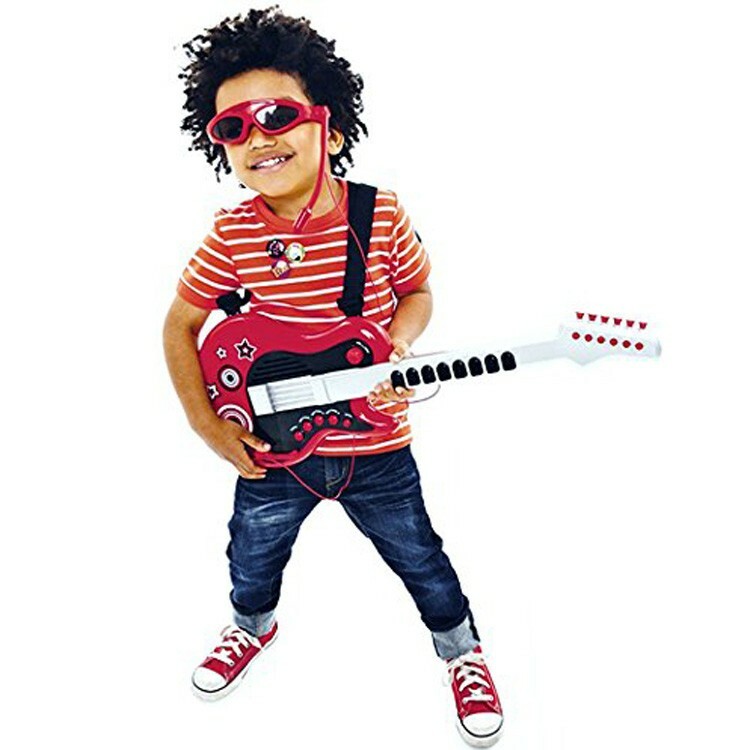 Become the next rock-n-roll star with this cool kids electric guitar by ELC. 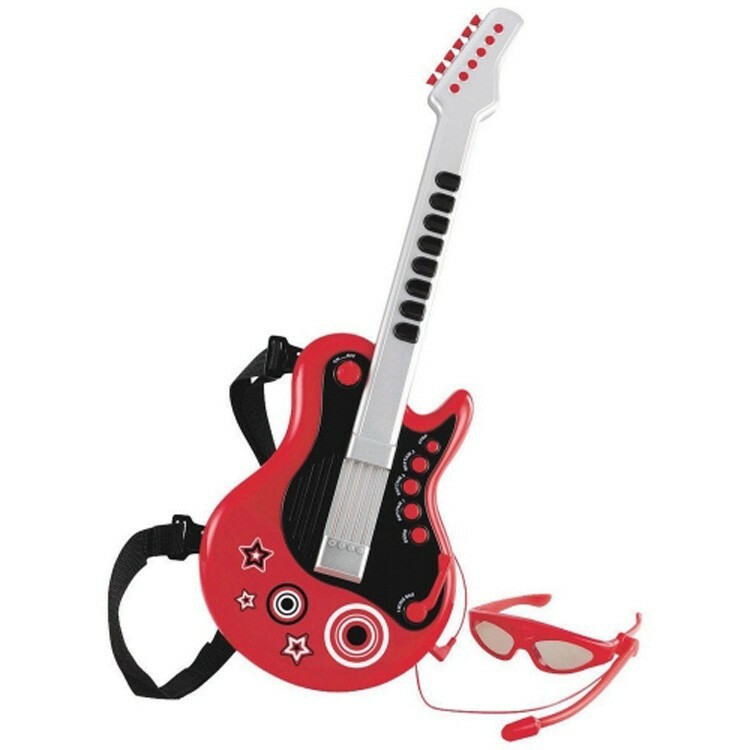 While you play the Kids Toy Electric Guitar, the guitar makes fun sounds and flashes lights. This bright red modern looking electric guitar features 8 fret-board buttons for great sounds, 3 different rhythms and a demo dial, swing bar for extra fun sound effects . This toy musical instrument from Educational Toys Planet looks cool and makes quality sounds. 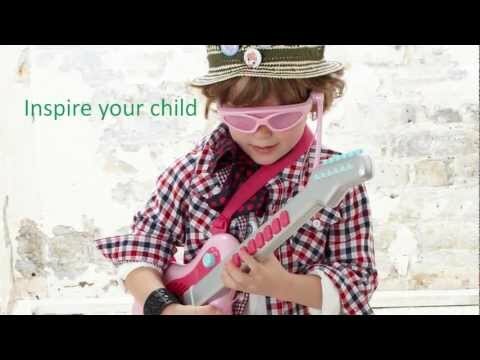 This rock musician playset comes with the rock star glasses with hands-free mic. Your young music lover strums electronic strings to make the tunes and sing along, or compose his (her) own music. This children electric guitar toy requires 4 C batteries (not included). 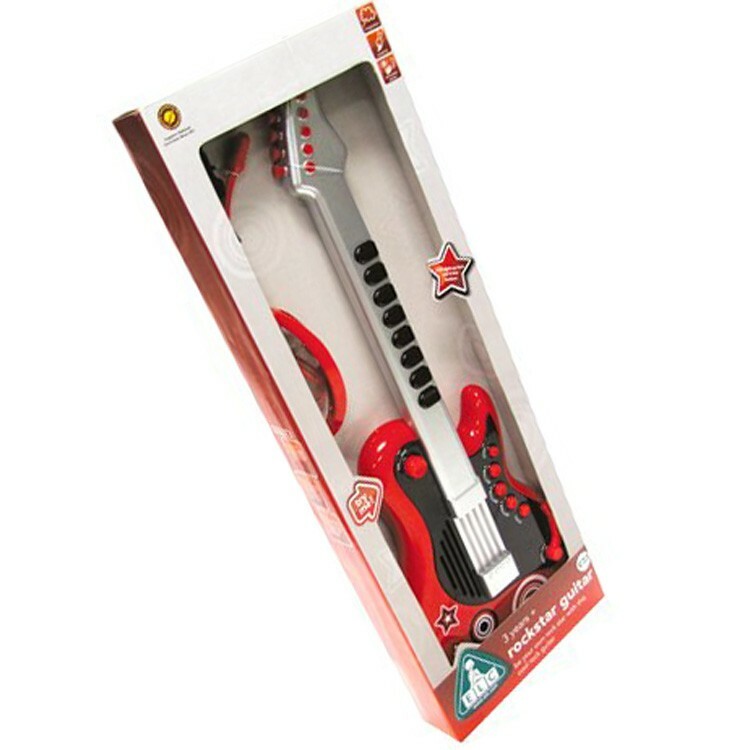 Dimensions of package 0.09" x 0.2475" x 0.024"
Write your own review of Kids Toy Electric Guitar. Rating: 4 by Carol, PA My 2 year old granddaughter loved it. The tunes were good. Being able to play your own notes was good. The design was attractive. The size was good: not too small, not too big.